Half Dozen 60cm Roses in Winston Salem NC - Sherwood Flower Shop, Inc.
Half dozen gorgeous red roses are the perfect romantic gift to send to the one who''s always on your mind and in your heart. 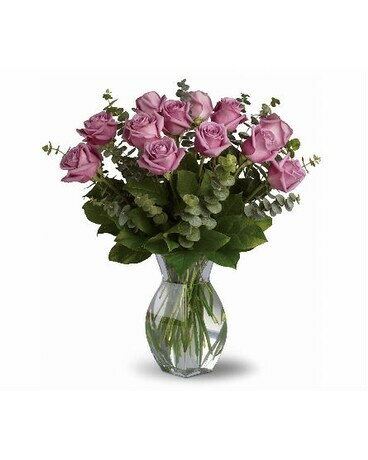 Say "I love you" by sending this lovely arrangement of six radiant red roses and fresh greens delivered in a beautiful spring garden vase. Love always.